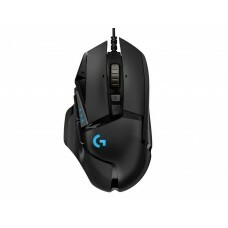 Logitech G502 HERO High Performance RGB Gaming Mouse is built in an advanced optical sensor for customizable RGB lighting, maximum tracking accuracy, custom game profiles with from 200 up to 16,000 DPI resolution.This gaming mouse provides High-performance HERO 16K Sensor which is more accurate in gaming speed. HERO 16K sensor is capable of 400+ IPS with zero smoothing, filtering or acceleration with achieves competition-level precision and the most consistent responsiveness ever. 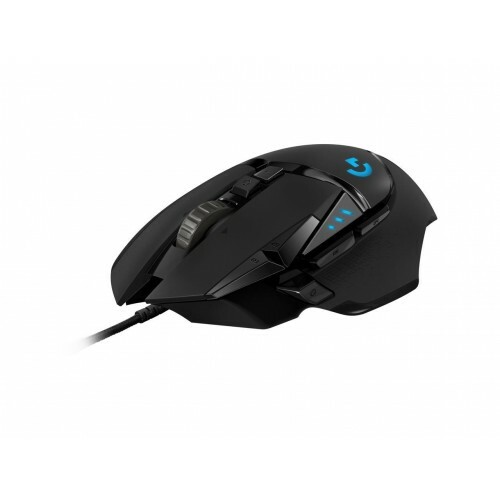 This exclusive mouse has 11 fully programmable buttons with Five 3.6G adjustable weight and save up to five ready-to-play profiles directly to the mouse. It is configurable in a variety of front, rear, left, right and center weighted configurations. In this G502 HERO mouse, there are 16.8 million colors and synchronize lighting animations which is effects with your other Logitech G devices. By using next generation RGB (LIGHTSYNC technology), it will deliver the most immersive RGB experience ever which is driven by games, audio, or your screen. 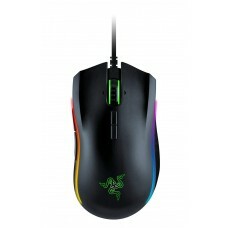 This unique mouse has 50 million clicks of main buttons, > 250 kilometers PTFE Feet, > 40 G max. acceleration, > 400 IPS max. speed. Its responsive features are 16 bits/axis USB data format, 1000 Hz (1ms) USB report rate, 32-bit ARM Microprocessor. 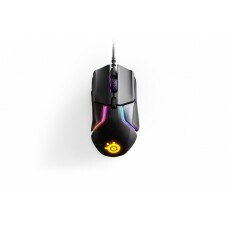 The HERO RGB Gaming Mouse is compatible with Windows 7 or later, macOS 10.11 or later, Chrome OS, USB port and (Optional) Internet access for Logitech G HUB (G HUB). Experiment with the alignment and balance to find the sweet spot to optimize your gaming performance. This exclusive gaming mouse provides 02 years of warranty.